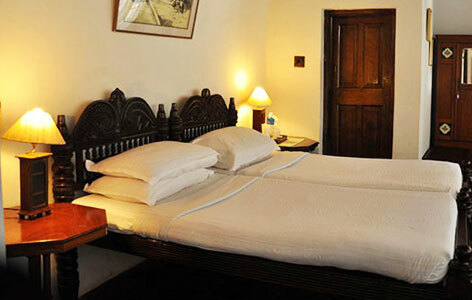 "Old Courtyard Hotel is a spectacular landmark right in the heart of Cochin. The grand heritage hotel in Cochin offers luxurious and lavish stay to every tourist so that they could make the most of their Cochin tour. Situated amidst the historic lanes of the city, surrounded by exotic shops selling antique items and handicrafts, a stay in here is a delight for every shopping lover. Everything in and around this hotel is designed to present a rough picture of the lives led by the Portuguese Royalty. 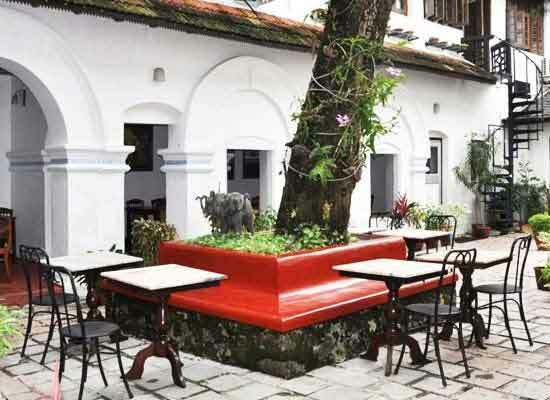 The Old Courtyard Hotel was constructed over 200 years ago in Kerala, din traditional Portuguese architecture. It was constructed as a Residential Palace for the Royal Koder Family. The last occupant from the royal family to inherit the house was Lily Koder and hence it was called as Lily Koder’s house. 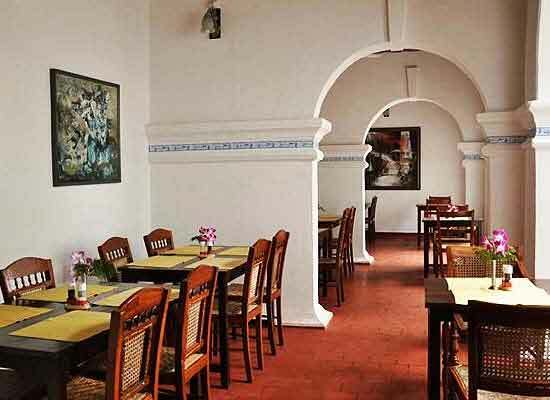 By the year 1999, the house was empty and was bought over to be renovated into a popular heritage hotel in Kerala. The Suite: The most spacious and secluded rooms offers the most lavish stay in the hotel. Especially designed for honeymooners in Cochin. The Superior room: A stay in any of these rooms is a remarkable experience because of the elegant Portuguese decorations that set the mood in here. The Regular room: The most basic rooms in the hotel but still packed with surprise luxurious amenities to make your stay smooth and comfy. Old Courtyard Hotel, a fine heritage hotel of India, has one of the best on-site multi-cuisine restaurants in the country. The guests are served in here amazing seafood delicacies along with numerous Continental, Kerala, Mediterranean and Asian dishes as well. But the luring aspect of this restaurant is the special deserts that are served in here, some of the famous ones being Dark Chocolate brownies, Apple Crumble, Lime Cheesecake and Rose’s cheesecake. Cochin in Kerala is one of the most famous backwater tourist destinations in India. Tourists come here to enjoy the serene surroundings and have a memorable time. The World Travel & Tourism Council has regarded Cochin as among the top three tourist destinations. There are various other attractions in Cochin including Willingdon Island, Fort Kochi, Cherai Beach, Chinese Fishing Nets, Jewish Synagogue, etc. Houseboat rides in Cochin amidst the tranquil backwaters make Cochin a preferred honeymoon destination.